The Spezia company was founded in 1950 by Giuseppe Spezia. He was one of the first Industrial surveyors in the province of Piacenza and he channelled his energy into developing and spreading mechanization in agriculture, starting his own business of trading equipment in Pianello Val Tidone (in the province of Piacenza), where the company is still based today. His extraordinary professional and human qualities gained him the unconditioned respect and trust of the farmers as well as the machine manufacturers. 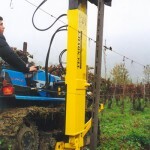 As an acute observer of technical problems he made important contributions to the development of innovative farming equipment, such as the rotary hoe with hydraulic displacement for vineyards. He passed away in 1994. 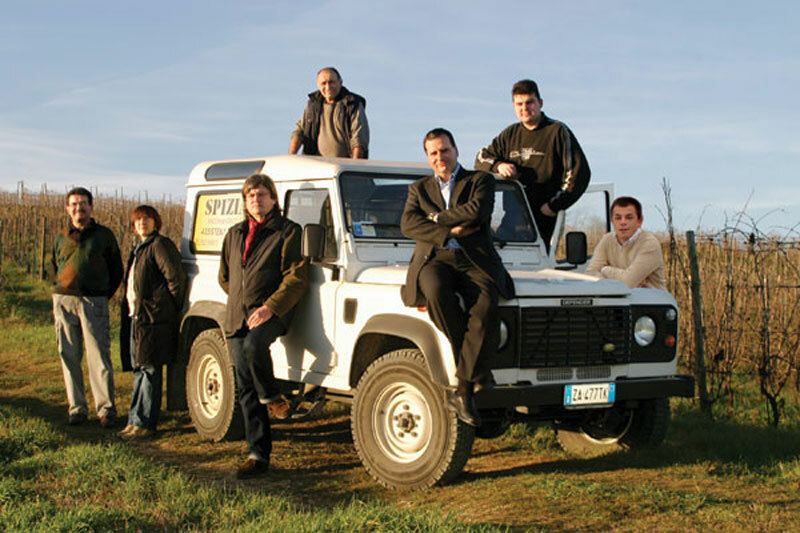 His son, Giancarlo, who graduated in mechanical engineering from Milan Polytechnic, started to design, patent and produce specific machines for use in the vineyard in 1989. Today, this activity allows the “Spezia Ing. Giancarlo” company to be present with its own registered trademark TECNOVICT at the most important and prestigious Italian wineries, offering products that are by now unanimously considered synonymous with quality, robustness and reliability. Also significant is the recognition bestowed by UNACOMA on occasion of the EIMA 2005 fair with the Technical Innovation Contest award for the ground-breaking chemical desuckering machine. He has collaborated closely with Professor Fregoni and the fruit and vine growing institute of the Università Cattolica in Piacenza since 1987, where he was Professor in Vineyard Mechanization from 2002 till to 2010. Since 2001 he has made a particular contribution to the development and spread of telemeasuring for precision viticulture, as a member of the scientific council of CITIMAP (Centre for the innovation in the use of semote sensing in the mechanical industry for precision agriculture) as a consultant for the most important wineries. Since 2008 he has developed some machines in the new variable rate technology: the Mod. 111 VRT “Claudio Pontremolesi” spreader and the Mod. 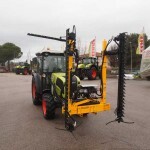 111 VRT Leaf Stripper that has won the 2010 Technical Innovation Contest award along with Same Deutz Fahr (responsible for ISOBUS tractor electronics) with the project “INTEGRATED MANAGEMENT SYSTEM FOR PRECISION VITICOLTURE”.